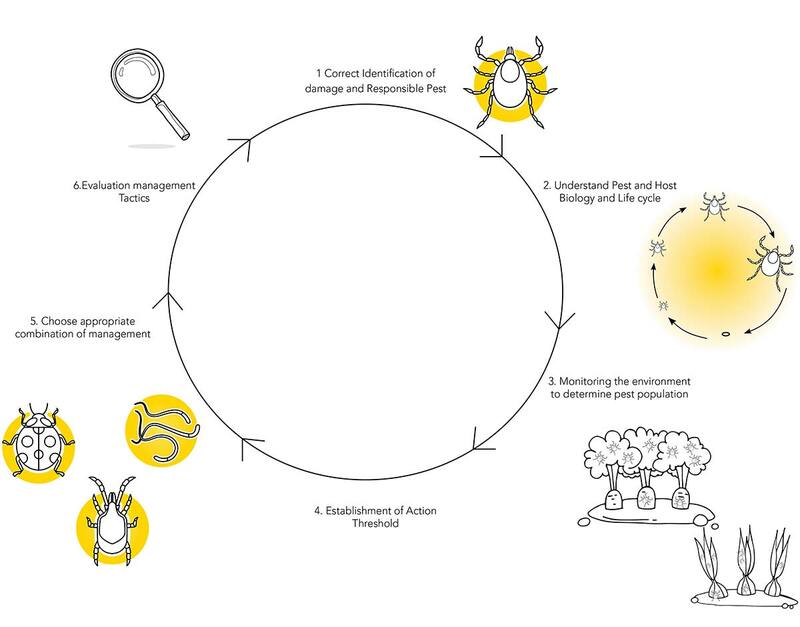 Integrated Pest Management (IPM) is a system of pest management that incorporates preventive cultural, mechanical, physical, biological and chemical controls in a compatible manner to keep pest population below economically injurious levels. The key objectives of IPM are economic viability, social acceptability and minimal risk to human health and the environment. These are practices which get rid of conditions that encourage establishment of pest. It involves modification the practices used to grow the crop to prevent establishment, survival, and reproduction of pest. Involves physical exclusion of the pest. 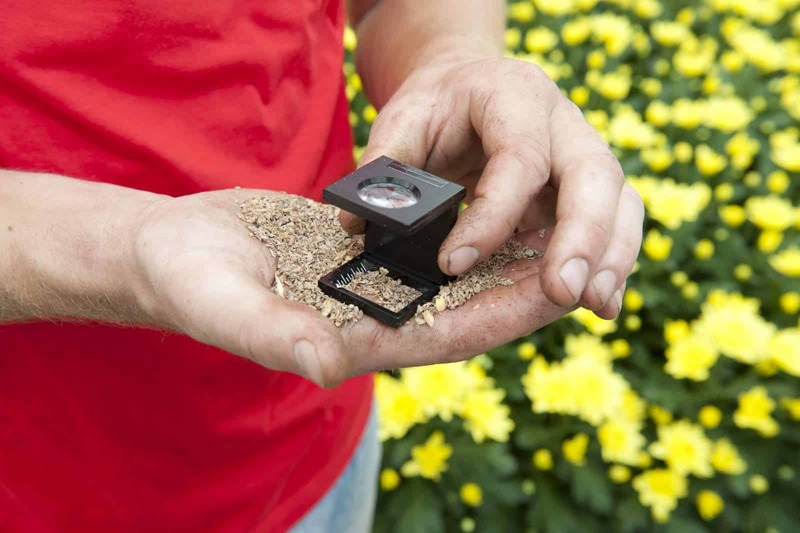 Entails use of the pest's own natural enemies, naturally occurring organisms which suppress the pest. Involves the intelligent use of use of insecticidal soaps, insect growth regulators, botanicals and selective, less toxic pesticides. Chemical pesticides are used only when needed and plays more of a supportive role, ensuring more effective, long-term management of pest. Dudutech epitomises the Flamingo ethic of long-term sustainability and is committed to producing products which contribute positively to the health and wellbeing of society. Supplying 17 different indigenous biological control products into the Flamingo farms, Dudutech has helped instill a culture of low pesticide farming. By identifying the major causes of pesticide use and designing integrated biological solutions to reduce reliance on these chemicals, Dudutech facilitated a 90% reduction in synthetic pesticide use in roses between 2003 and 2013. The increase in soil fertility and reduction in pesticide use has brought about other, excellent benefits for horticulture. Spraying with synthetic pesticides stresses plants and reduces photosynthetic activity and plant growth. With fewer sprays in the crops there is an increase in production and quality; bigger, shinier, more disease resistant leaves, and better post-harvest storage characteristics. Improved soil fertility resulting from a diversity of beneficial organisms and extra organic matter creates a living soil that interacts positively with the plants, increasing root volume, fertiliser and water uptake, and growing a stronger plant that is more productive and resistant to diseases. This reduces reliance on synthetic fertilisers and results in a higher nutrient value product with better storage properties.